An iconic warplane will be arriving in London this week as part of a tour across North America. 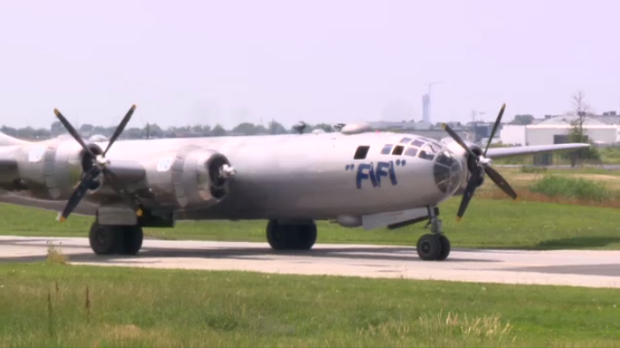 A Boeing B-29 Superfortress, named ‘Fifi’, will land at the London International Airport on Thursday at 12 p.m.. The iconic bomber was first flown in 1942 and was best known as the aircraft whose missions over Japan helped end World War II. The B-29 will be at the airport until Sunday. Visitors will be able to see the exterior of the plane up close as well as walk the ramp up the aircraft and tour the interior of the cockpit when the plane is not flying. The Superfortress’ visit is one of only eight stops in Canada and is one of 26 destinations it’s visiting across North America.